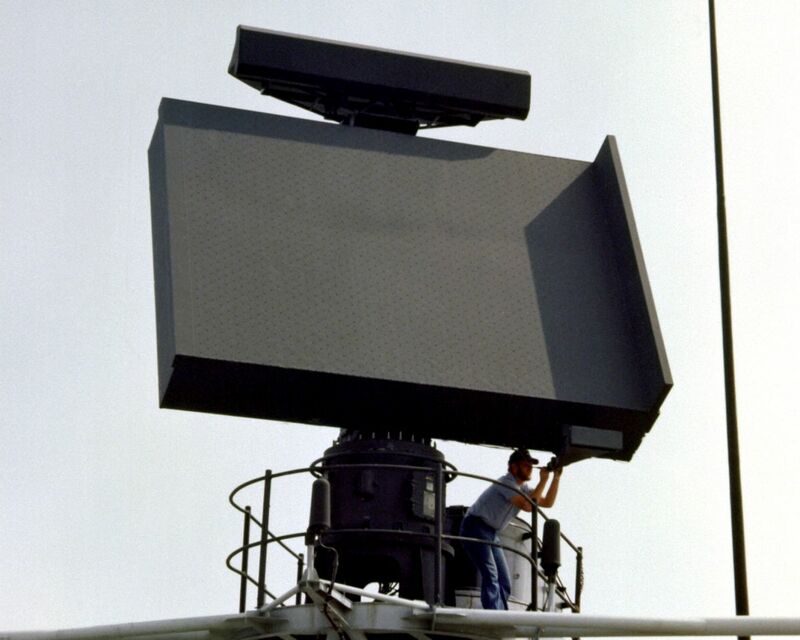 The US-Navys AN/SPS-52 is a shipborne 3-D long range air surveillance radar. 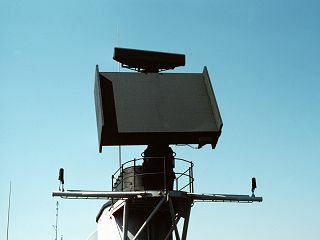 The Radar is a Hughes development of the earlier AN/SPS-39A. The antenna assembly is a planar array of a collection of rows of slotted waveguides, tilted back at an angle of 15 degrees, the version 52C at an angle of 25 degrees. Is is a serpentine fed frequency scanning phased array for electronic beam-deflection in elevation angle depending on the transmitted frequency, and mechanical rotation in azimuth. The AN/SPS-52C has completely different below-the-decks electronic. 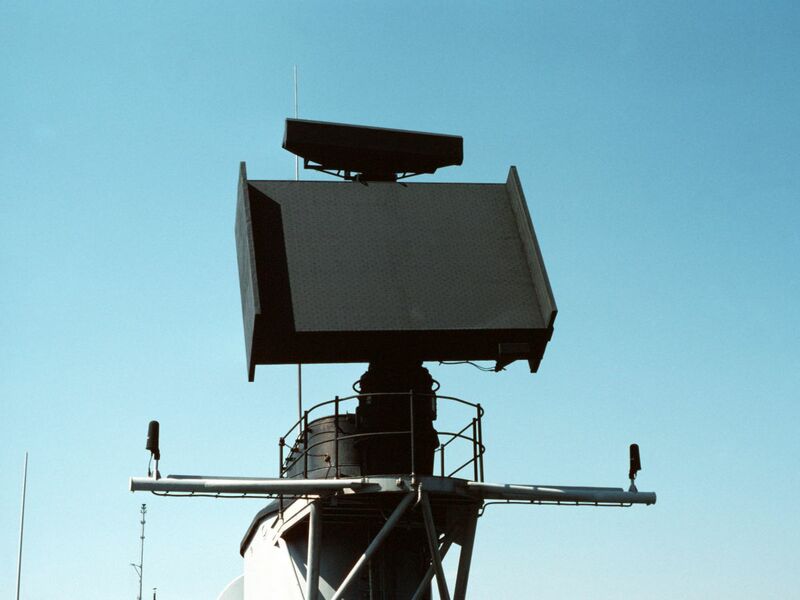 The radars are mostly de-commissioned and replaced by the AN/SPS-48E. Some devices could still be in operation. Figure 2: The AN/SPS-52C version uses an antenna with the serpentine feed only on the right side.